BBC Earth tells the greatest stories about our world. For 60 years, the BBC has been on a quest to capture the astonishing wonders of the universe and share them with audiences everywhere. Celebrating the natural world is more important than ever so its teams continually push the boundaries of possibility to bring us the remarkable stories that change our perspectives and inspire us to care. 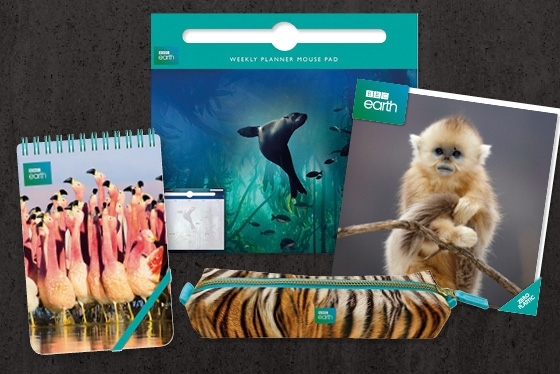 Exclusively launching with Museums & Galleries in 2019, the BBC Earth greetings card and gift stationery range features iconic imagery from the landmark TV series Blue Planet II, Planet Earth II and beyond. To see the full range of our branded products please click on the following link, BBC Earth products.